Located in Fair Lawn, New Jersey, The Rail Yard Tavern is a casual yet sophisticated hometown restaurant. The Rail Yard remembers the days of stream train locomotives, but has beautiful modern updates in every part of the restaurant. The interior was completely remodeled by Bob Piccoli, the owner, and his team of artists. From the soothing blue and gray color pallet, to the warmly decorated new bar, it’s a calming and fun atmosphere for all who stop by. The Rail Yard Tavern offers a menu of good hearty food, with a focus on pizza, steaks, and other favorites. Daily specials are based on the freshest food available and cooked to perfection. 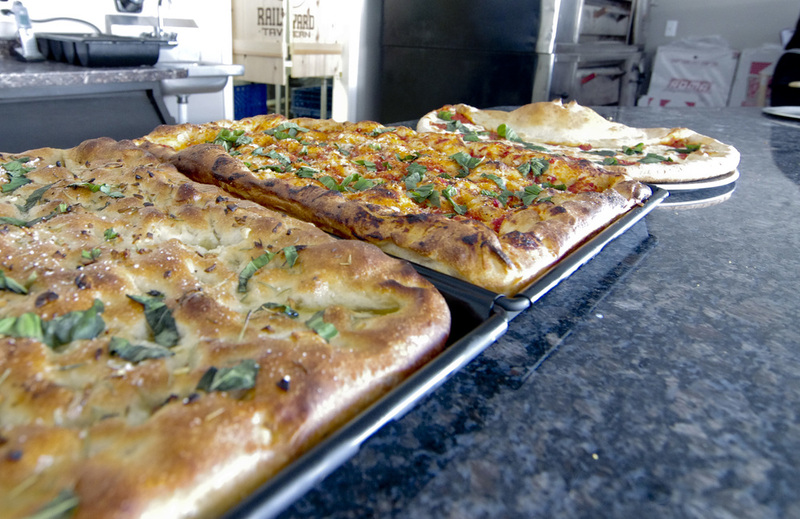 The thin crust pizza uses the best ingredients for an authentic Italian taste that you won’t find elsewhere. The Tavern has something for everyone who is looking for excellent food at reasonable prices. The rear section of the restaurant has dinner tables available for romantic dinners for two or multiple tables for friends to sit together. The lounge section has comfy leather couches and chairs along with tables. The bar offers craft beers on tap and free Wi-Fi, along with four TV’s for anyone looking to enjoy drinks and appetizers in a relaxed setting. There is even a family-friendly area offering the same menu, but removed from the lounge atmosphere. It is our ultimate goal to ensure your visit is the best it can be. If not, let us know how we can make your next experience even better.